Happy Monday my friends! Here's a quick iPhone shot of my last manicure, Essie 'In the Cab-Ana' with Hits 'Hefesto' on the accent finger. I can't brag about Hefesto enough- it makes a sparkly holo out of any polish! This is one coat over 2 coats of Essie. Here's to a great week! Link up below and go visit some new blogs! Cute! 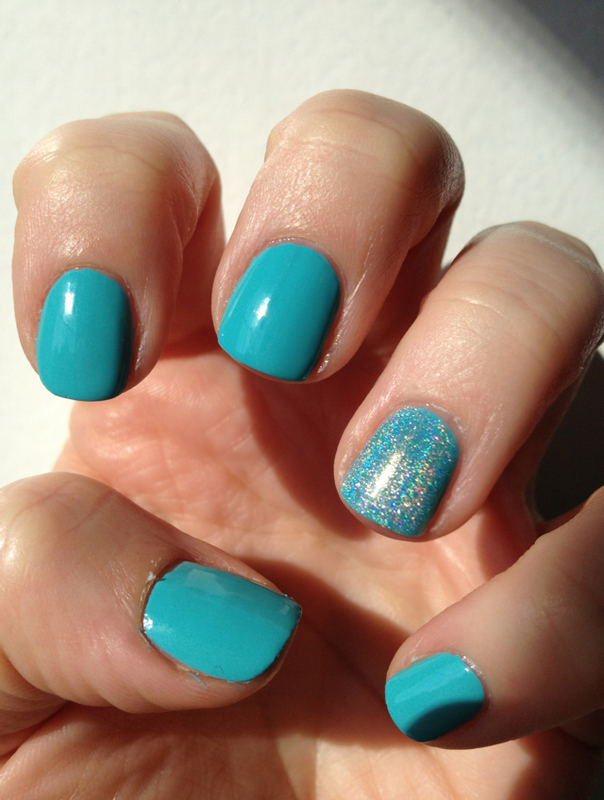 I love that sparkle nail! I need a mani sooo bad!